Modern cloud-nativeinfrastructures consist of large number of components components to monitor (hardware and software). You have to manage hundreds to thousands of components (e.g. container-based microservices). Effective monitoring in such an environment is complex and challenging, notably to avoid false alerts and to concentrate your efforts on incidents that matter. Monitoring should not be just a matter of getting raw metrics through your favorite monitoring tool (e.g. Prometheus) to draw nice graphs in Grafana. It’s important that, for each incident, you be able to assess (quickly?) how it really impacts your business. Hence you need to rely on incidents aggregation, along with dashboards and notification systems that take into account the real impact of every incident on your business services. In other words, you should for example avoid to fire a critical alert while a failed container does not critically impact your business services (e.g. a service you provide to your end-users). Assessing the real impact of each incident allows operations staffs to be able to prioritize issues based on those that have higher impacts on services. That’s where this talk comes into play. The intent is to discuss advanced aggregation and visualization capabilities aiming at helping operations staffs to deal with monitoring with focus on business applications. We’ll also introduce RealOpInsight , an open source business application dashboard management tool that works on top of various existing monitoring systems, including, Nagios/Icinga and derived, Zabbix, and even more. We’ll finish by showing some examples and demo based on RealOpInsight and Icinga . 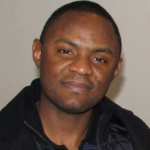 Rodrigue Chakode holds a PhD in computing science, with focus on resource management in distributed and cloud environments. Before and after my PhD (from 2008 to 2012) I worked on various IT monitoring projects with both open source and proprietary systems, aiming to leverage the best of the two worlds. Nagios & derived systems, Zabbix, HP Operations Management, ManageEngine OpManager, Zenoss, Pandora FMS, are few of systems I worked on. Strong supporter of open source software and passionate with open source monitoring, I started in 2010 writing the first lines of the software which becomes RealOpInsight. While I currently work as cloud software architect in a corporation, I still continue to develop and lead RealOpInsight project during my spare time.